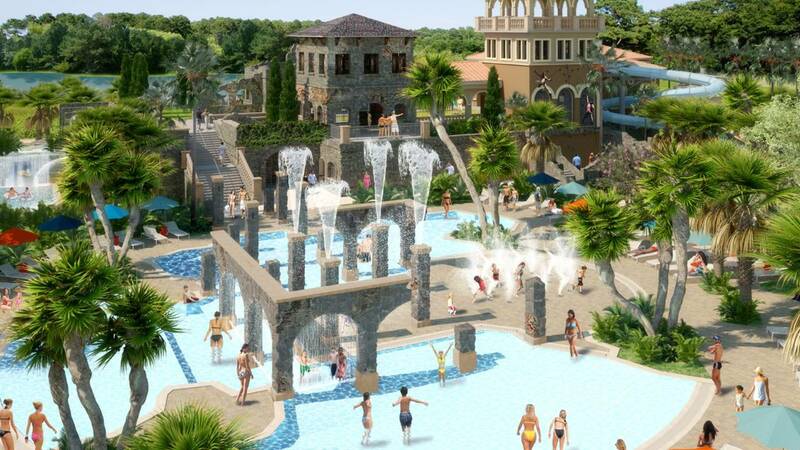 The amazing new Explorer Island at Four Seasons Resort Orlando, a bargain in September..
Visit in September when lines are shorter at new rides like the 7 Dwarfs Mine Train. It’s not magic; September is the cheapest month of the year to visit Orlando, with room rates among the lowest all year. Yes, you can find a room for $50 per night and there are plenty of discounts everywhere in town. So if you thought a fall trip to Orlando was beyond your budget, think again. Even better for families with young kids, the summer crowds are gone. VisitOrlando.com/September is offering 30 days of savings — up to 50% off during the Magical Deal Month of September 2014. Their site is a one-stop shop for visitors to find more than 150 theme park offers, discounted hotel rates, dining deals and more. Autumn is the time to grab a deal at the newest hotels in town, including Universal’s retro Cabana Bay Beach Resort with its family-sized suites, the chic boutique B Resort & Spa at Downtown Disney and even the Four Seasons Resort Orlando at Walt Disney World. This peaceful Four Seasons is within a residential community master-planned by Walt Disney Imagineering, and has its own five-acre Explorer Island and free Kids for All Seasons supervised camp for ages 4-12. At the Grand Cypress Resort, a Preferred Family-certified hotel where kids golf free after 1pm daily, save 25% on any Wednesday to Sunday stay this fall, and get free bicycles and fishing gear. Treat your family to a new world of flavors from Todd English, Emeril and more. From August 26th to the end of September it’s Visit Orlando’s Magical Dining Month. More than 75 of Orlando’s top restaurants are offering three-course, prix-fixe dinners for $33 and $1 from each meal will be donated to the Foundation for Foster Children. And since many of the best restaurants are in hotels, some hotels are offering dine and sleep discounts all month long. Walt Disney World Resort – Salutes the U.S. Military with specially priced theme park tickets for military families. 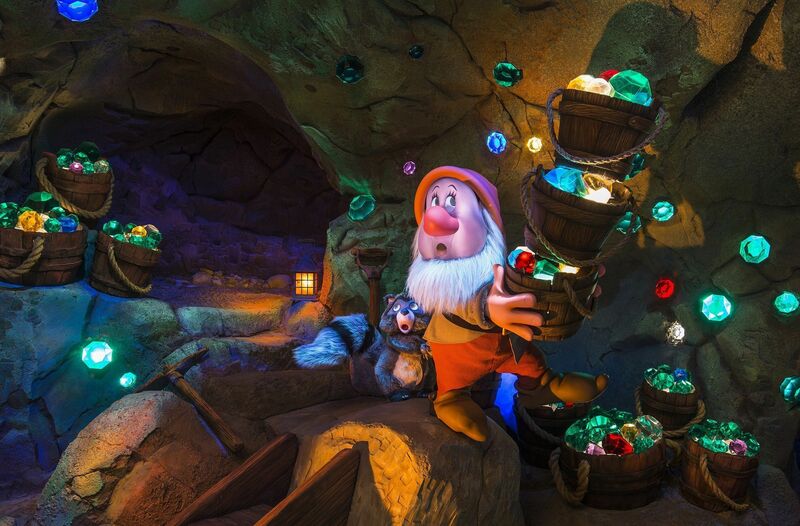 Four-day Park Hopper tickets cost just $169 each, plus tax through September 24th and you can use the new MagicBands and FastPass+ to shorten the wait for the adorable new Seven Dwarfs Mine Train ride. SeaWorld Orlando – Save up to $400 with a Kids Free Vacation Package that includes discounted hotels, a free child’s admission with each paid adult and reserved seating at SeaWorld signature shows. Learn all about their new Blue World Project to protect killer whales. Universal Orlando Resort – Exclusive Vacation Package includes a four-night hotel accommodations, 3-Day Park-to-Park Ticket to Universal Studios Florida and Universal’s Islands of Adventure, and early park admission to The Wizarding World of Harry Potter; rates start at just $109/ night per adult – great deal with teens. Just take a look at this video. Hope to see you in Orlando! This blog post is sponsored by Family Travel Consulting and is based upon the author’s actual travel experience and knowledge.